Ponderosa Pine Trees on the west 2 ½ Sections of the Ranch creating an extremely scenic area on this part of the Ranch. 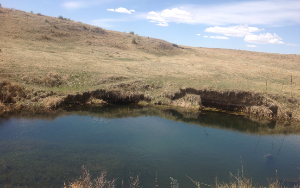 Approximately 4 miles of Middle Bijou Creek on the east side of the Ranch creating an ideal location for calving and hunting activities. 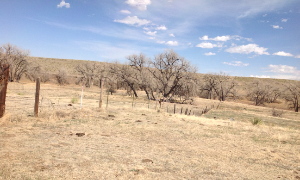 Property is fenced into 3 different pastures. The west 2 ½ sections is fenced with mostly Ponderosa Pines and utilized for summer grazing. 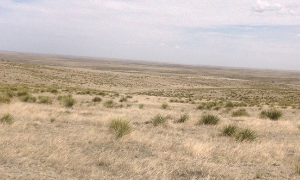 The middle 5 sections are utilized for summer grazing. 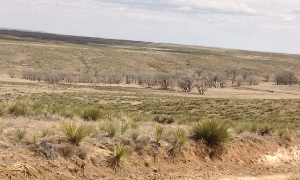 The east 5 sections are utilized for winter and spring calving. 4500 Sq. Ft. Quonset - steel frame with Concrete foundation and floor. 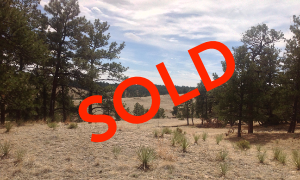 Located approximately 12 miles SW of Deer Trail, Colorado, or 20 miles south of Byers, Colorado on Ridge Road. Nice residential/horse properties with acreages in the area. 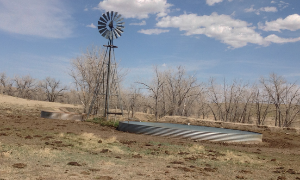 5 Solar Wells, 2 Electric Wells, 3 Windmills, Tank on Pipeline, Seasonal water in 2 drainages and intermittent water on Middle Bijou Creek. Water available on all 13 sections - primarily in the middle of each section. Agricultural Tax Basis with annual taxes of $ 4,448.